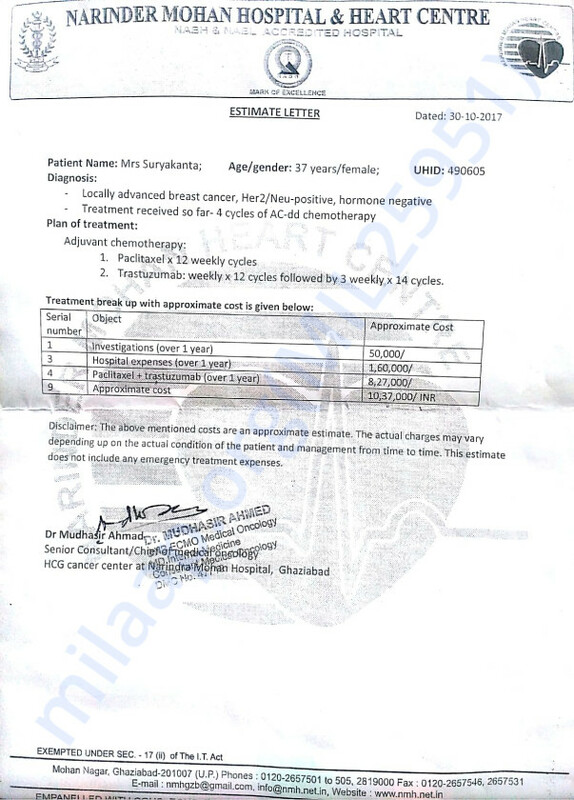 A few months back, single mother, Suryakanta, was diagnosed with breast cancer on the right breast. 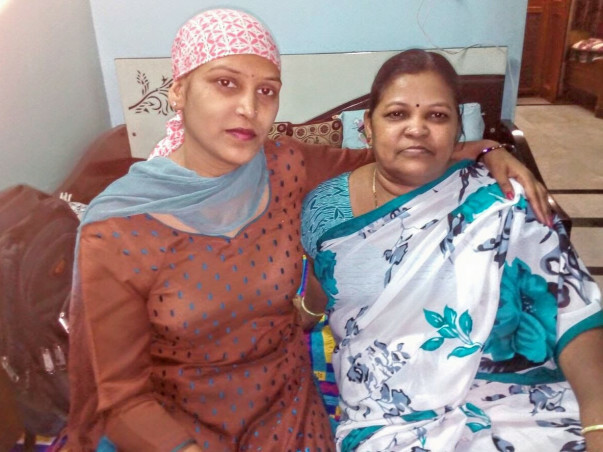 Despite chemotherapy, her tumour kept growing leading to the removal of her breast entirely. She needs to continue to undergo chemotherapy for the nect one ear in order to treat her condition. 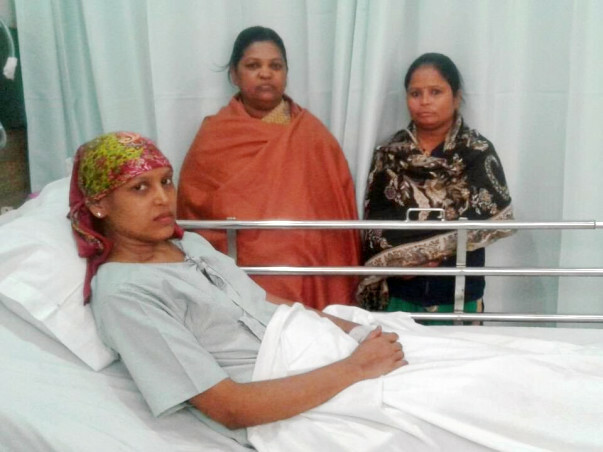 The total cost of the treatment is around 10 lakh Rs. Suryakanta has had a life of struggles. 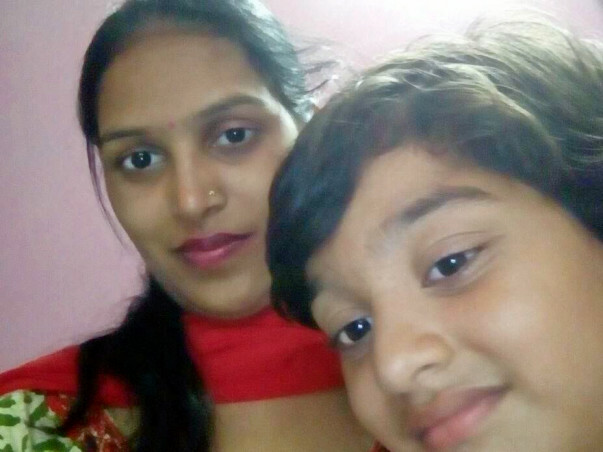 She is a divorcee and has a daughter who depends on her. She needs to live for her daughter. 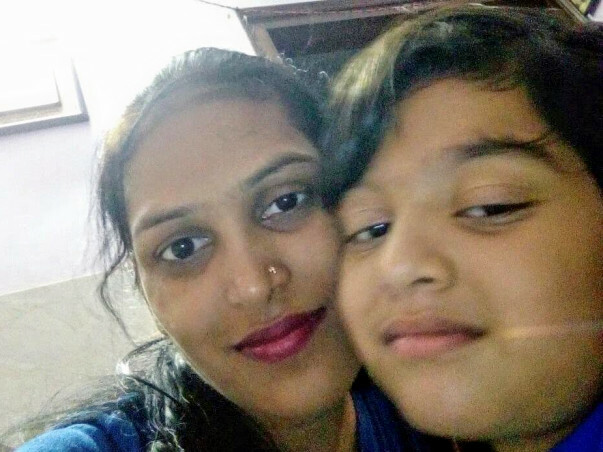 She is financially weak and needs our help to recover for her daughter. Your contribution can give her the treatment she deserves. Thank you for all the support you have shown Suryakanta. She is doing better now compared to before. She has successfully undergone the surgery and is undergoing chemotherapy at present. She is being administered high dosages of chemotherapy as the ailment is also aggressive. She visits the hospital once in 2 weeks for two days to undergo a session of chemotherapy. She has side effects like weakness, hair fall, and a low blood count. She undergoes blood transfusion only when required. Along with chemotherapy, she is also on supportive therapy, to help her in recovering from the chemotherapy faster. Thank you for all the support you have shown her. Do share this campaign further with your friends and family. Will keep you posted. I wish to donate more sister. But unfortunately I couldn't :( I will share on all my pages. Will pray for you .you will get well soon. Contact MEBOC vijay may be he can help upto some level. Thanks to my friends for coming forward to help. Hope you recover soon and may you re-unite with your daughter soon. Lots of good wishes.